How Do People Get On the Ballot? How Do People Get On the Ballot? 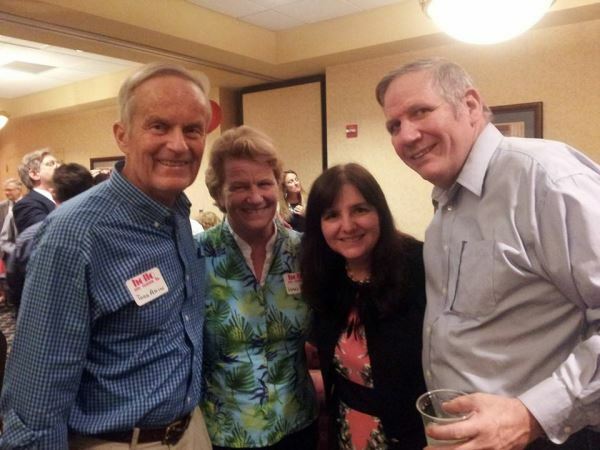 Bernie and I were attending a birthday party for a friend and ran into our former Congressman, Todd Akin and his wife, Lulli. A lot of people just want to vote and don’t want to be bothered with understanding how candidates and questions get on their ballots. 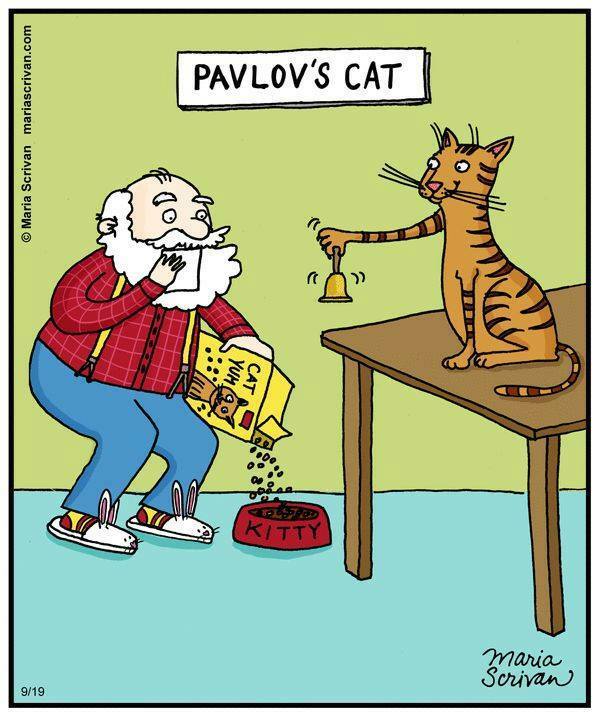 I can understand that. We expect our government to administrate the ballot printing and give us the maximum choices. Years ago, people would just write the name of their chosen candidate on a piece of paper and put it in the ballot box. Look at how far we’ve come – from writing whatever names we want on a piece of paper to being handed a ballot containing only the names approved through the criteria set by the two major political parties that make more laws, blocking others from being on the ballot. We have ended up with duopoly democracy. Many people don’t realize the two major political parties have now wrestled our freedom away from us to decide who gets on the ballot and even what political parties get on the ballot. While I can imagine why the two major political parties wouldn’t want competition, if the government is paying for the election, we want it to be as fair as possible for everyone, regardless of political affiliation. It is already unfair that the taxpayers are being forced to pay for their primary elections. Most people don’t get into the nitty-gritty enough to understand that political parties are somewhat the same as private corporations. It is just as inappropriate for government to pay for the primary election as it would be for it to pay for any other private corporation to hold an election. Some people may wonder if there’s a place for any candidate beyond the R and D Parties, since it’s so difficult for other political parties to get their candidates on the ballot. The vision of what liberty in a Constitutional Republic appears to be lost, even among the conservative Right. However, there’s no reason to lose hope! We have become more more relevant now than ever. We are the ones left to keep the vision alive. It’s our duty to show America of what true liberty looks like. We are all part of the answer. Thank you for not being satisfied with another crop of lousy candidates. We can only vote for good people if good people can get on the ballot. 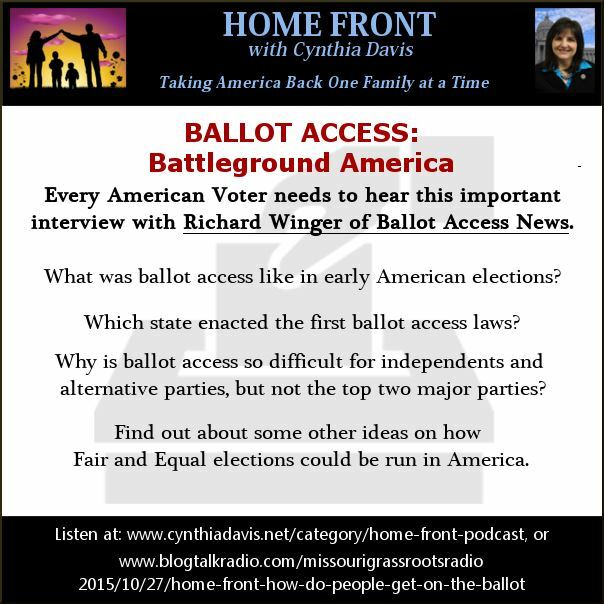 In our podcast this week I interview Richard Winger, Publisher and Editor of Ballot Access News. Richard offers us some interesting history of how voting used to be executed in our Country and what trends we will see in the future. 2.) Let’s fight for honesty and openness in our elections. You can inform yourself by listening to our podcast this week. Missouri is one of the best states in the Nation as far as ballot access, but we need to be ever vigilant. Things could change quickly and there is no shortage of bad ideas floating around the Capitol every year.